At William Davies we aim to develop resilient learners who are confident and adaptable. 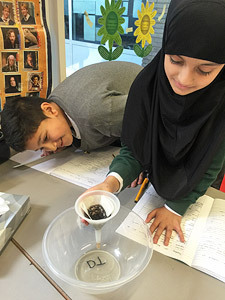 As most of our children are learning English as an additional language we ensure that our broad and balanced curriculum has speaking as one of the most important aspects of developing our learners. We offer a curriculum which is broad, balanced and promotes the spiritual, moral, cultural, mental and physical development of our pupils. It aims to prepare pupils for the opportunities, responsibilities and experiences of later life. We have designed our own programme of education which comprises the national curriculum as well as other learning opportunities and experiences appropriate to the needs of our community. ‘The Questioning Curriculum’ encourages enquiry and promotes independent learning in order to develop self-confidence and resilience. Our curriculum also provides personal, social and health education. It promotes independent thought through ‘Philosophy for Children’ and develops speaking and listening skills. English and Mathematics is taught daily, Music and Physical Education, weekly. Other subjects are taught in topic blocks over a number of days. Our ‘Modern Foreign Language’ is French and is taught in years 5 and 6. 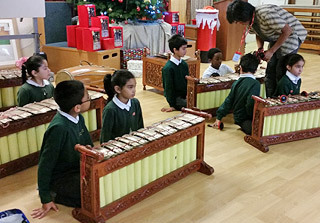 All the children in years 5 and 6 also lean to play a musical instrument. Teaching responds to the needs of the learners and teachers are creative in how this happens. A commitment to excellent Continuing Professional development (CPD) is offered to all staff to ensure teaching is of a high standard. The aim is both to reflect the current good practice and to encourage further development of interactive and formative assessment strategies.